If you want to monetize your collections for an immediate cash payment, we are the right partner for you. We offer competitve prices for any single items, specialized collections and large accumulations in any size and quantity. 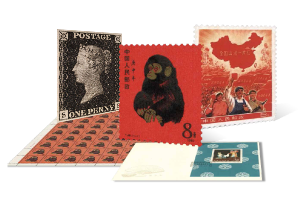 stamps & postal history, coins & banknotes, modern bullion coins, vintage postcards & photos, philatelic & numismatic literature, and other kinds of collectables and antiques. We can travel anywhere to examine the items concerned in short notice. We have representatives in Europe and North America who can examine the items in person, usually within 24 hours. Make an appointment to meet with our specialists at our office or at your suggested place (home visits can also be arranged), especially if your collection is large or of high value. Arrange an initial free consultation with our specialists, in which we will provide you with a preliminary price quotation of your collection. All collections or even single items are handled with the highest integrity, confidentially, and above all, enthusiasm. We have a long track of operational success, and offer the most competitive prices in the industry. 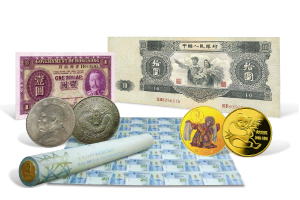 Copyright © 2019 Hong Kong Philatelic & Numismatic Company Ltd.